healthy living | Finding delight. Bananas – Versatile because you can pair them with so many things. I love to have one with almond butter for my breakfast but they’re also great on top of oats, quinoa, granola, yogurt, etc. Nectarines – Hand fruit is always good to have … on hand …for a quick portable snack. Down here in South Florida even the trash apples (sorry red delicious!) are kinda pricey but I’ve found nectarines to be affordable year-round. Avocados – Good healthy fats for your brain and skin. Zucchinis – I’ve cut way back on grains since our Whole 30 experiment so I love spiralizing zucchinis to replace noodles in any dish. Pesto – Great as a topping for those spiralized zucchinis (easy lunch!) and really yummy on potatoes, too. Bell pepper – Add an extra color to your salads or chop into sticks for a raw vegetable side with lunch. Red onion – Great salad element (they really take it to the next level! ), especially when you throw in something sweet too – like raisins or chopped dates. All about that taste balance! Lemon – For detoxifying lemon water. Broccoli – Yummy to add to soups or steamed up as a side. Green lentils – I like to add these in place of grains to bulk up soups and stews for a healthy, protein-packed winter meal. Kale – For salads or steaming but never for smoothies because my blender just isn’t strong enough, lol. Sweet potato – Packed with Vitamin A and Beta Carotene so it’s great for your eyeballs! Gluten-free wraps – Throw some avocados and veggies in, wrap it up! Kefir – High in probiotics so it’s good for the gut. Almond milk – Add it to smoothies, use it in baking, pour it over granola. Walnuts – For salads and snacking. They’re great for your brain because they pack that Omega 3 fatty acids punch! 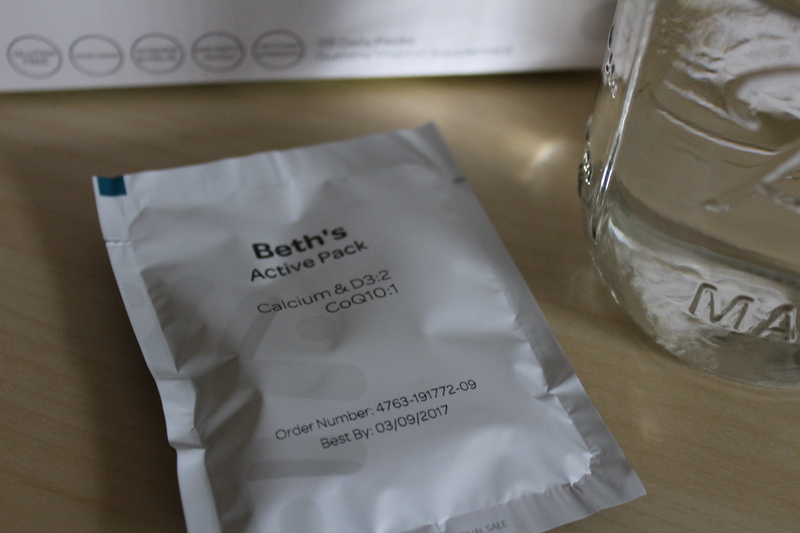 Kombucha – Because I’m addicted. 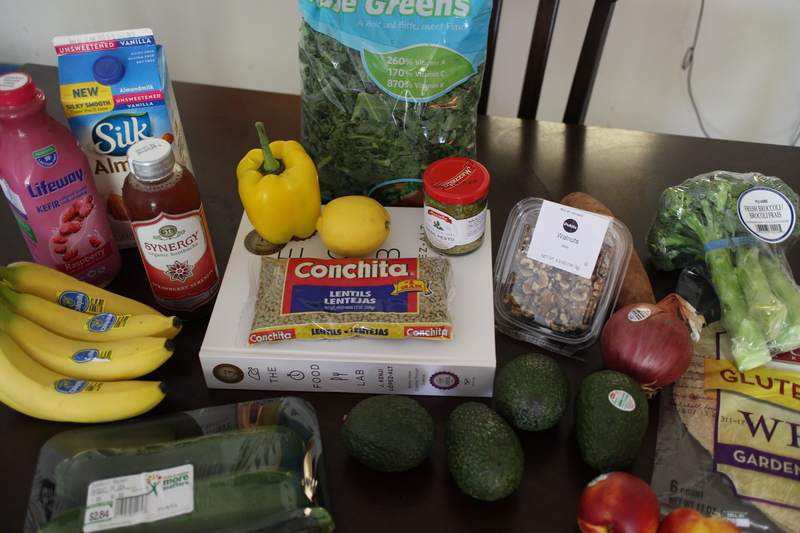 What are your grocery staples lately? Any tips for spending more grocery-time in the produce department and away from the convenient lure of frozen, packaged foods? Let me know! I love yoga too much to spend too many days away from my mat. I decided on 10 days sort of at random. If you get bored easily or are just looking for a way to mix up your routine, a week or two is a great time-frame. Of course, I LOVE the 30 day yoga challenges I’ve completed so you could always just go for it! Choose the type(s) of work-outs and exercise you’d like to include. I chose ballet because it’s a work-out I love but I only incorporate it into my normal work-out regimen a few times a month. I wanted to challenge myself to more. Maybe you have something similar in mind. If not, think about the types of work-outs you enjoy. Pilates, HIIT, Hip-Hop, Cross Fit? And you could totally go for more than one type! Perhaps you want to cook up a Tabata/Theraband Challenge. Go for it! Head to the internet for free resources. Jump on YouTube, Pinterest, or your favorite fitness blogs for work-outs and inspiration. Watch entire videos to make sure they’re a good fit for your fitness level and preferences. Save your favorites! When else can you watch a ton of fitness videos without feeling guilty for not following along? Create a list of all your work-outs. Combine everything you found with any existing favorites and make a master list of all the work-outs you want to complete on your challenge! Note: You don’t have to have a work-out video for every day of the challenge. One day might include a 5-mile jog or a circuit of body-weight exercises. Just make sure to include those on the master list too! Arrange the work-outs within your designated time frame. Accountability! I feel like I’m way more likely to finish out my ballet challenge because I blogged about it. You might be the same. Let some people know what you’re up to, either IRL or on social media, so you follow through. Keep a Fitness Challenge Diary. Completing a goal you set for yourself is the best feeling! Why not reward yourself? Need some inspiration? 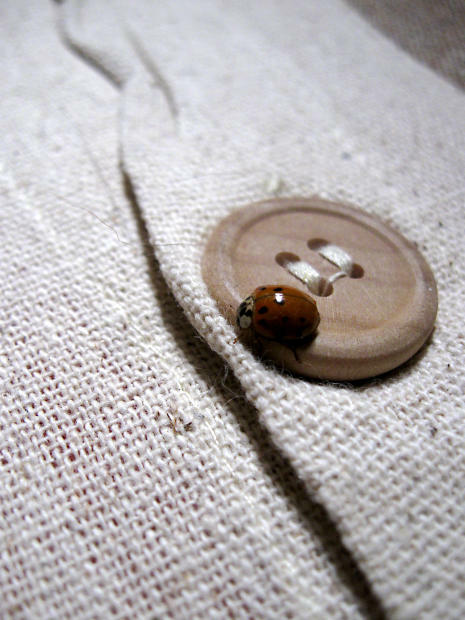 I love this list — 23 Ways to Treat Yo’Self Without Buying or Eating Anything. 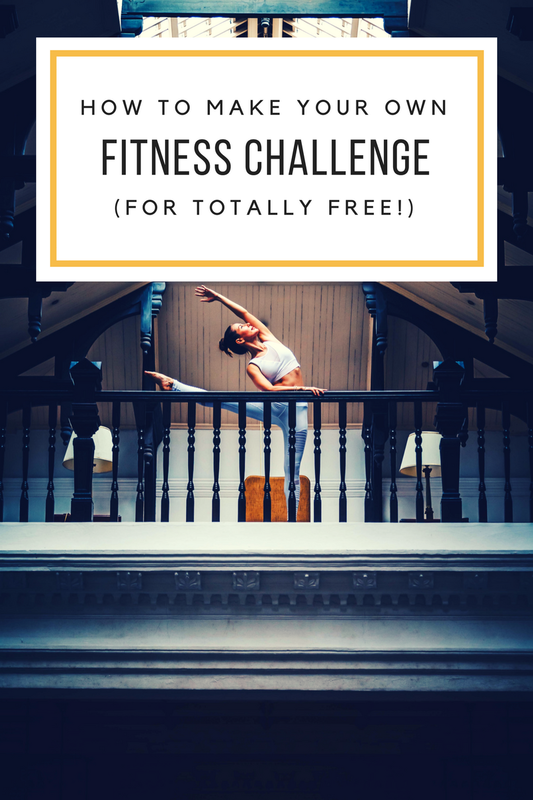 Have you ever completed a fitness challenge? Would you consider creating your own? What types of exercise and work-outs would you include? I’d love to know!!! Keepin’ it simple. While I love smoothies, egg bennies, and avocado toast as much as the next girl; keepin’ breakfast simple helps me streamline my morning (and allows me a few more minutes for scrolling through my IG feed). I stick to oatmeal most mornings and leave longer recipes for less busy seasons of life. Peruse the news. I like to allocate time in the morning to hit up a few favorite websites. I scan for articles that look interesting, read a few, and save the rest for when I have some free time. That way, later in the day, I won’t feel pulled from productivity to click my way into a time-sucking, internet black hole. Wash hair the night before. I used to dread my morning routine simply because washing and blow-drying my hair always felt so. damn. DAUNTING. Yes, it took me an embarrassingly long time to figure out I could just wash my hair the night before and have much more pleasant mornings. No, I will never look back. Forward focus. While at bedtime I like to reflect back on something I’m grateful for, my mornings tend to be more forward focused. Whether sketching out my day in a planner, writing a To-Do list, or just taking a second to get internally amped; I find it helpful to pick at least one thing I’m super excited for in the day to come. 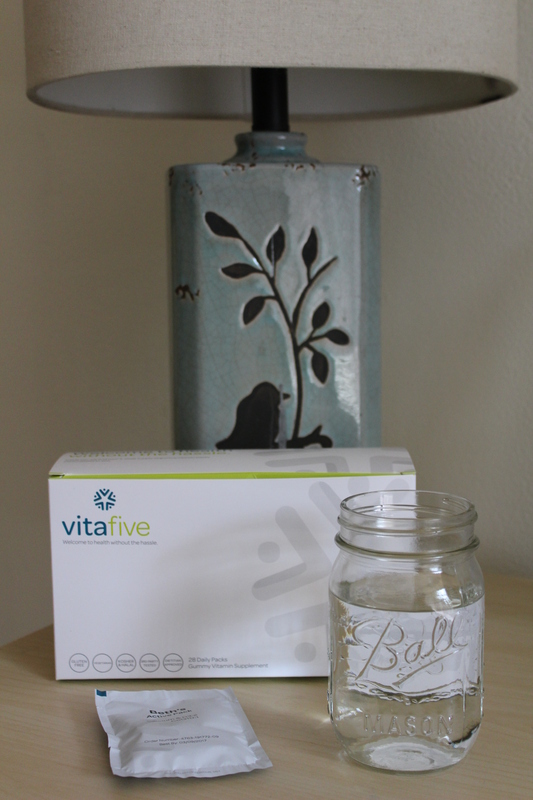 Bonus for Finding Delight readers: vitafive is offering 30% off your first box with the coupon code beth30 (all lowercase). Just enter the code at check out. No commitment necessary. You can cancel any time. 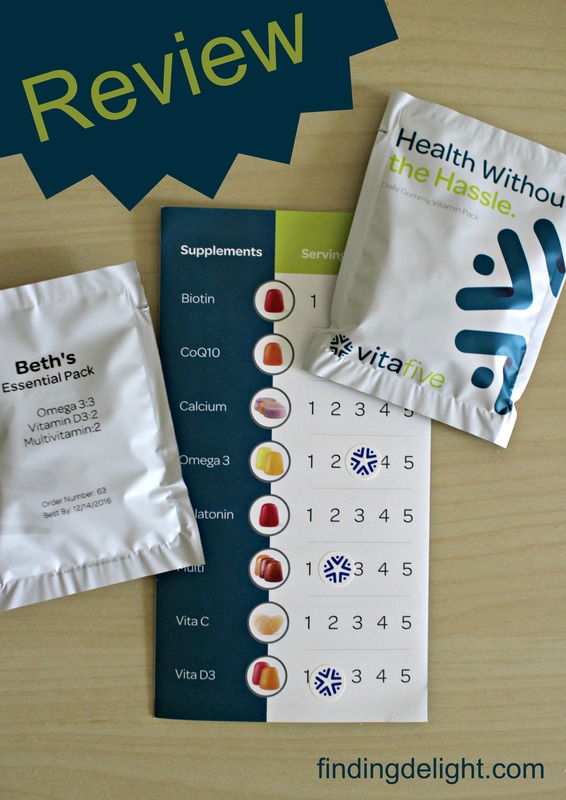 Vitafive has a ton of different vitamins that you can order in various combinations. 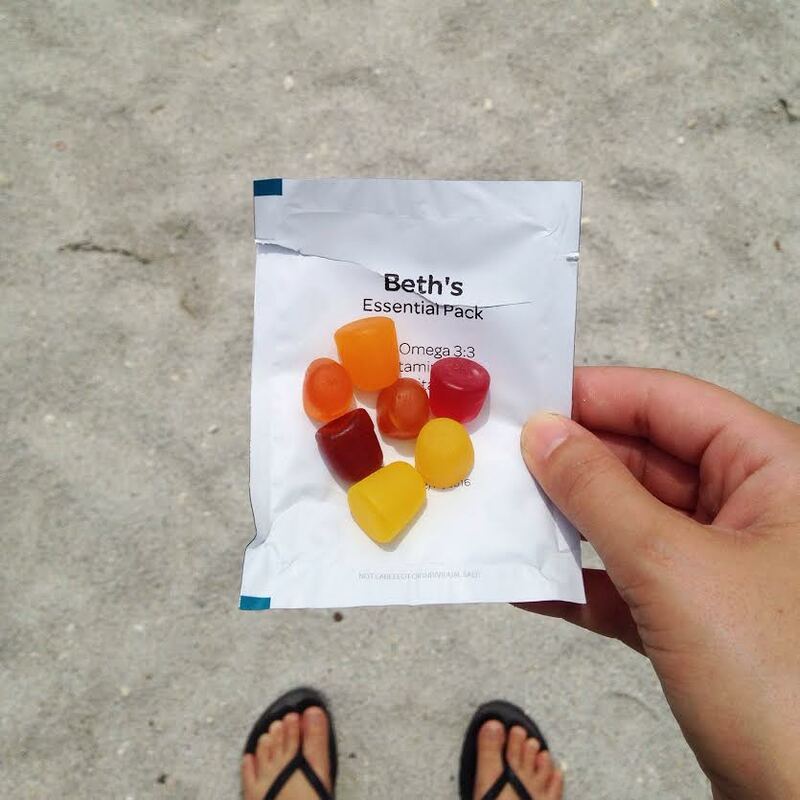 Pick from one of their pre-formulated packs or create your own custom pack! 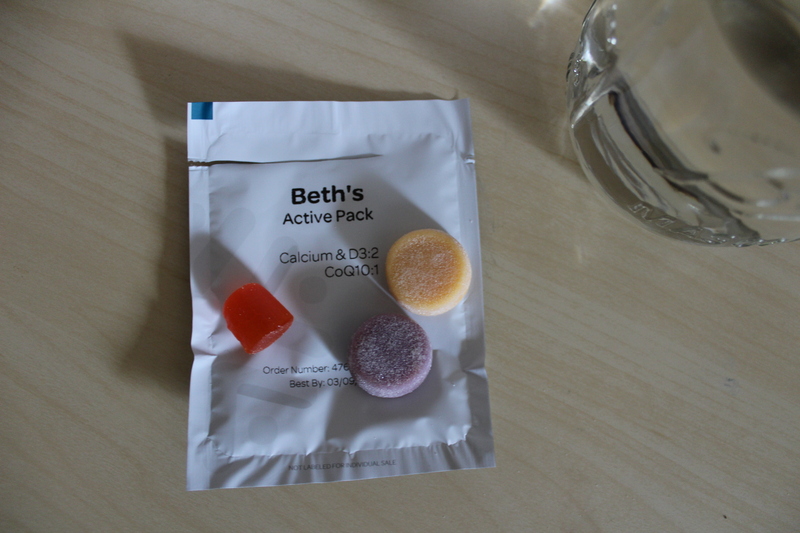 I love the Essentials Pack for general wellness (multivitamin, D3, and Omega 3) and am currently taking the Active Pack (calcium, D3, and CoQ10) to help me keep up with these chock-full days. 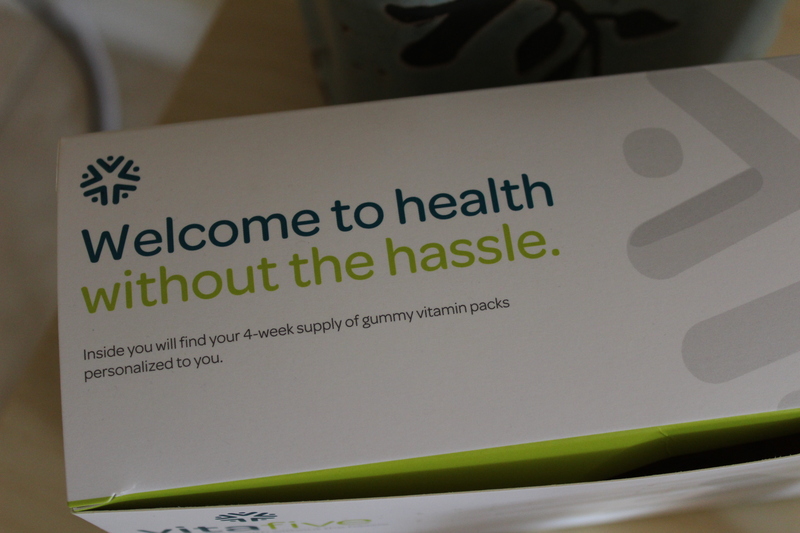 Stacked up against supplement prices at Whole Foods or GNC, vitafive’s cost breakdown of $1 a day is totally affordable. 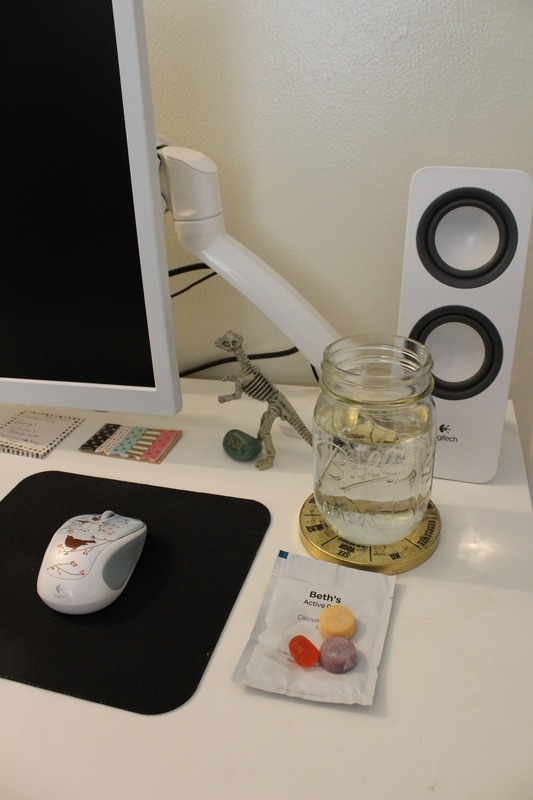 It’s incredibly convenient to have all your vitamins pre-packaged together for each day of the week. They’re all in one place and ready to go! Not to mention, you don’t have to keep up with multiple bottles running out at different times and remembering to re-purchase. 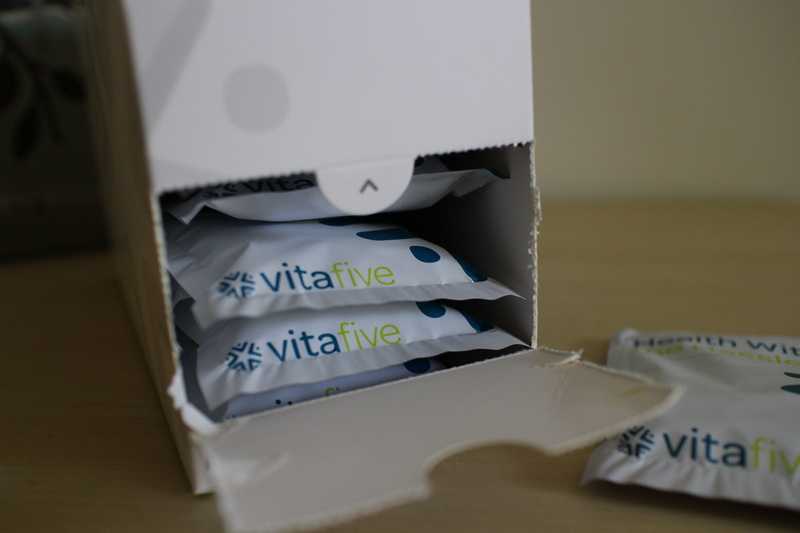 Vitafive will just send you your next month’s supply. They’re gummies! Sure, I CAN swallow pills but that doesn’t mean I WANT to. 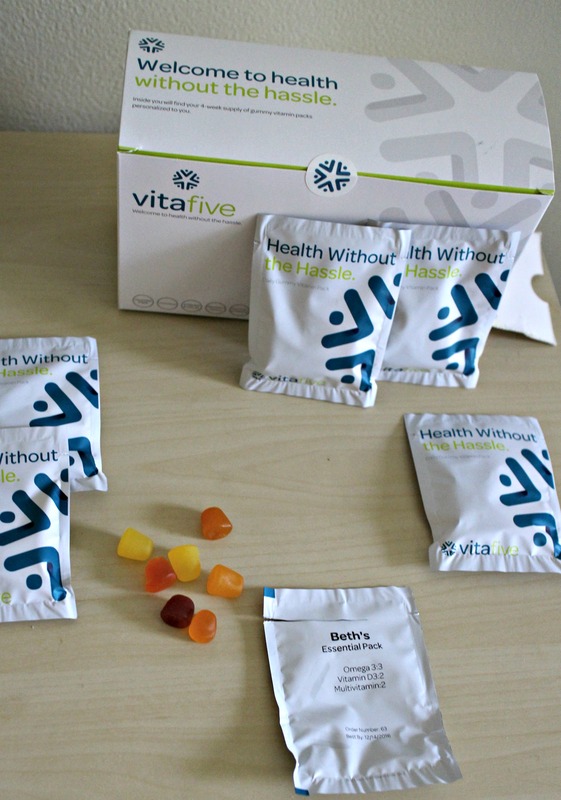 Vitafive’s gummy vitamins taste great! Thank you so much, vitafive! I love starting my day with your vitamins. P.S. 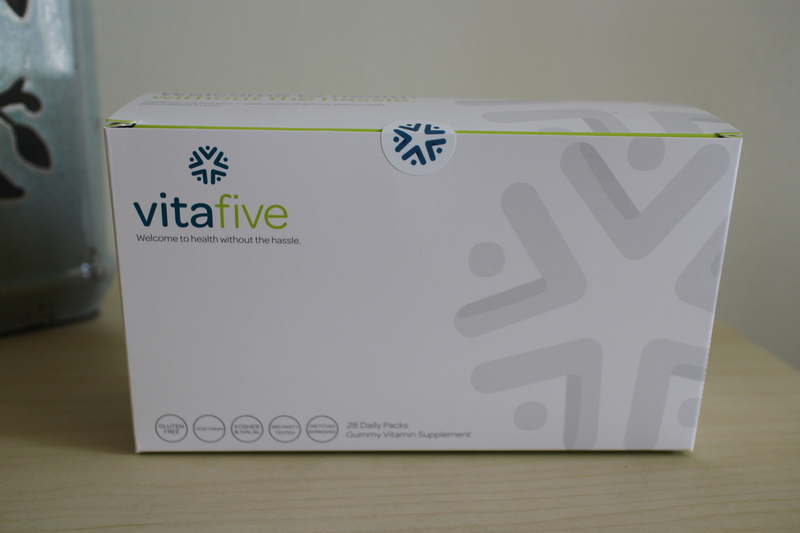 See my comprehensive review of the Vitafive Vitamin Subscription HERE. This post was inspired by BetterHelp.com which provides online therapy with licensed therapists. I for one don’t feel like I need a new year to set new intentions, goals, or dreams. In fact, I kinda think summer is a great time re-commit to healthy living. The weather is warm and ready for outdoor exercise. The fruits and vegetables are fresh and plentiful. The daylight hours stretch for maximum productivity. The world feels full of possibilities…. making changes to your life feel possible. With that in mind, I thought I’d share my top 4 intentions for healthy living, as well as how I’ve been applying these intentions in my every day life. If summer has you itching to set some new Healthy Lifestyle Intentions, then this post is FOR YOU! 1. Make time for dedicated outdoor play every day. I’m not talking about those moments of fresh air between house and car, car and work. I’m talking a dedicated half hour to soak up some Vitamin D. No need to reinvent the wheel. Just go for a walk or plant things in the dirt. Kick around a soccer ball or splash in the pool. If it’s raining, grab an umbrella and go for a stroll anyways. Or do some yoga under an awning. If it’s snowing, throw on your coat and boots and go for it. Just get outside! My current favorite way of doubling down on this intention is taking all my phone calls outside. Phone rings…I head outside. But for my dedicated 30 minutes of play time, I’m a long-time lover of a casual walk or a quick dip in the pool. My living situation/climate makes both options super easy (year round!) and for that I am thankful. 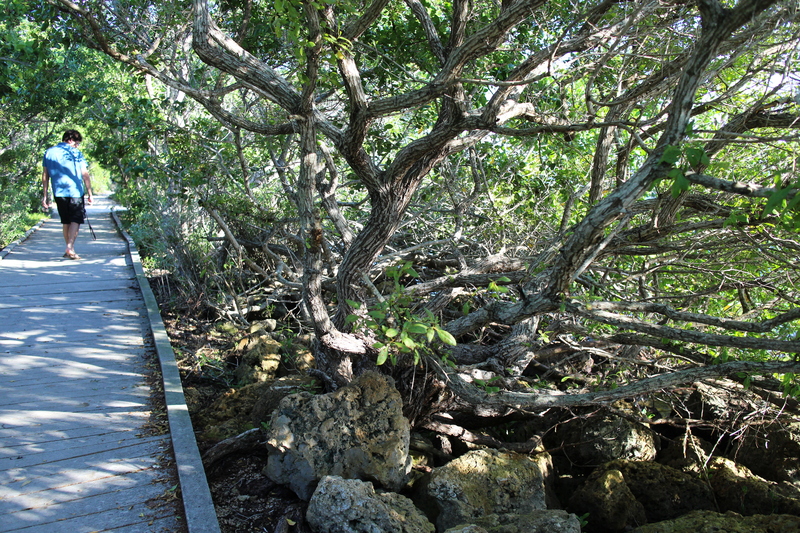 Pictured above: A trail through Biscayne Bay National Park, the perfect place for an afternoon stroll. 2. Keep healthy hacks on hand for the unhealthy foods you most often crave. I for one think that, if you love burgers/ice cream/pizza/burrito bowls/brownies, you can have your cake and eat it too. Just be honest with yourself about the things you love and LEAN IN. Prepare for those inevitable days when you’re feeling a Papa John’s delivery by always keeping a crust and some topping options in your kitchen. In doing so, you’ve just made it RUHL easy for yourself to get a pizza in the oven and in your belly. No phone dialing necessary. Once you’ve figured out the craving hacks that work for you, give the necessary ingredients a permanent place of honor on your weekly food shop list. Lately, I’ve been loving banana soft serve as a replacement for my frequent need for fro-yo. I portion and freeze bananas so that I can pop them right into my food processor (usually with a scoop of frozen blueberries or some peanut butter) and have a delicious evening dessert in seconds. 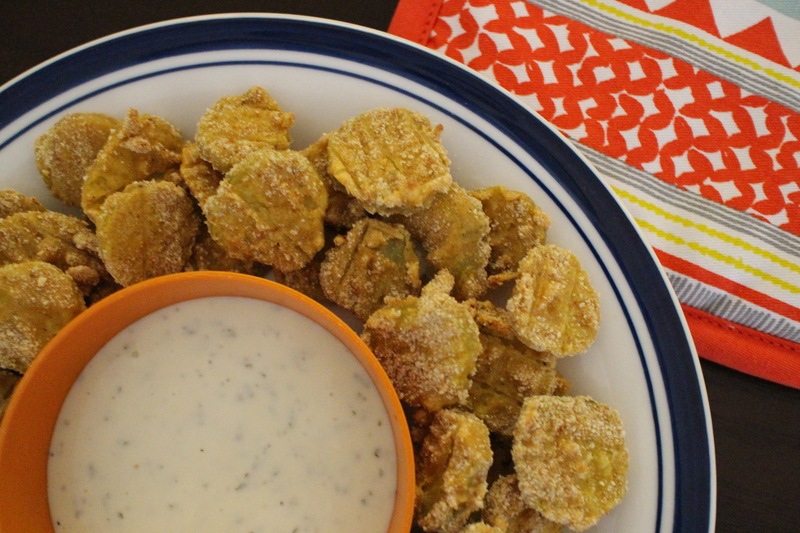 Pictured above: My “fried” pickles, a hack for my very favorite restaurant appetizer. 3. Take consistent breaks throughout your work day. Your work is a marathon not a sprint. There will always be another project, another email to answer, another meeting, another goal to cast your eyes upon. As this is the case, what’s the use in pounding the pavement so hard on one task that you’re too exhausted to give your all to the next? Give your brain space to breathe. Get your legs out from the confines of the underside of your desk and STRETCH. It may seem counter-intuitive at first but your productivity levels will thank you. My approach to this intention is ever changing and has evolved and shifted along with my professional life. Currently, it centers around choosing priorities for the day and working to complete those top priorities first. This allows for larger breaks later in the day (a perk of working from home!). I also try to break those priorities down into 45 min – 1 hour long tasks and break for 10 – 15 minutes in between each task. 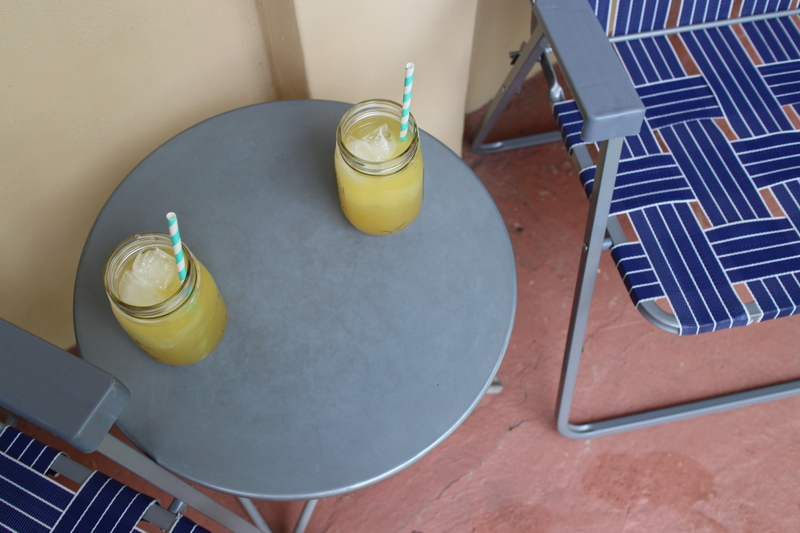 Pictured above: Cool drinks on my balcony, a great place for a break when you work from home. 4. Schedule outings with friends and partners that are fun-focused, not food-focused. Yes, grabbing brunch is a great way to spend some quality time with your bestie. Dinner and drinks is a classic recipe for a great date with your boo. But they aren’t the only options. They’re the easy, no thought needed options. Why not plan a trip to the art museum with your gal pals or a bookstore adventure with your boyfriend? I’m not saying you should eliminate food-focused outings all together, just that switching it up can go a long way in getting you out of an eating-out holding pattern. Oh, and huge bonus points if you can plan something active and/or outdoors! 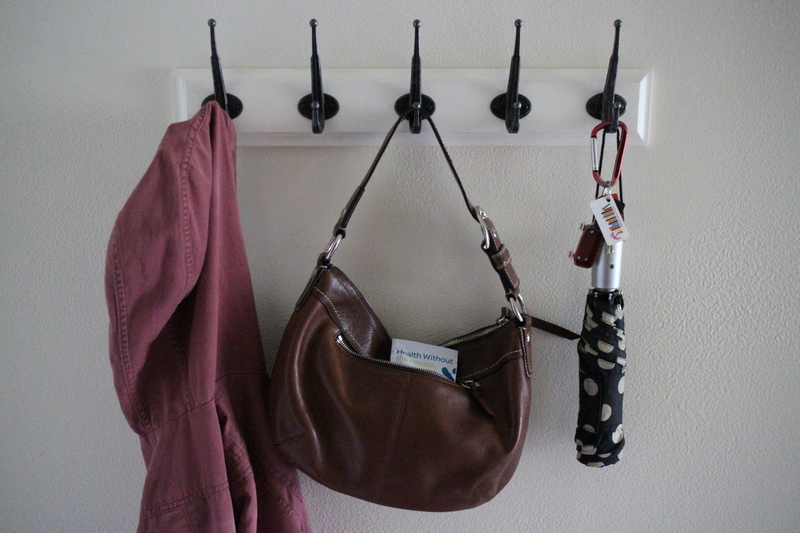 Summer is the perfect time to make this switch. Since moving to Miami, Chet and I instituted #AdventureSaturday. We check out new-to-us parks, head to the ocean, or just stroll around some shops. It’s a great way to spend time together and, because we are having experiences instead of meals, we make lasting memories. 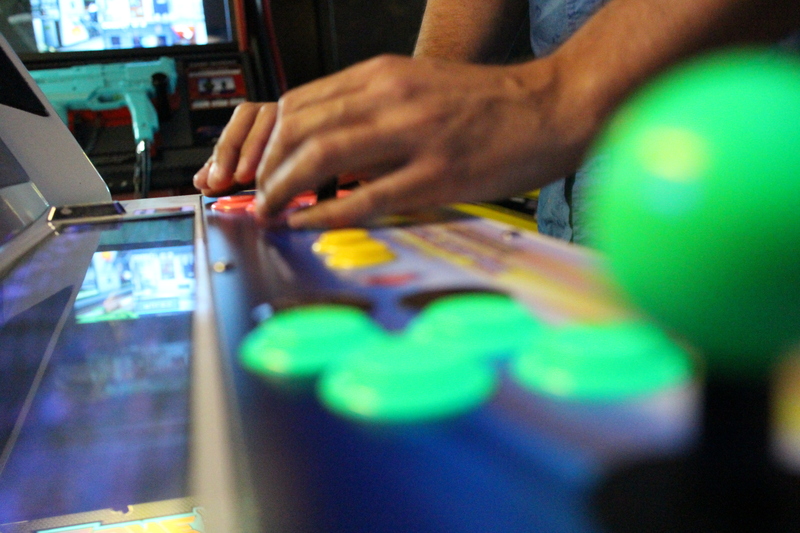 Pictured above: Playing a video game at the arcade, one of our favorite outings. Coke unveils some new green-scamming tactics. We iz from da same famlee?? One of these days I’m gonna try this out. Gorgeous tumblr if you’re feeling scroll happy. Love these simple, weeknight meals. Whoops, I’ve seen all the docus on this list. Check ’em out! 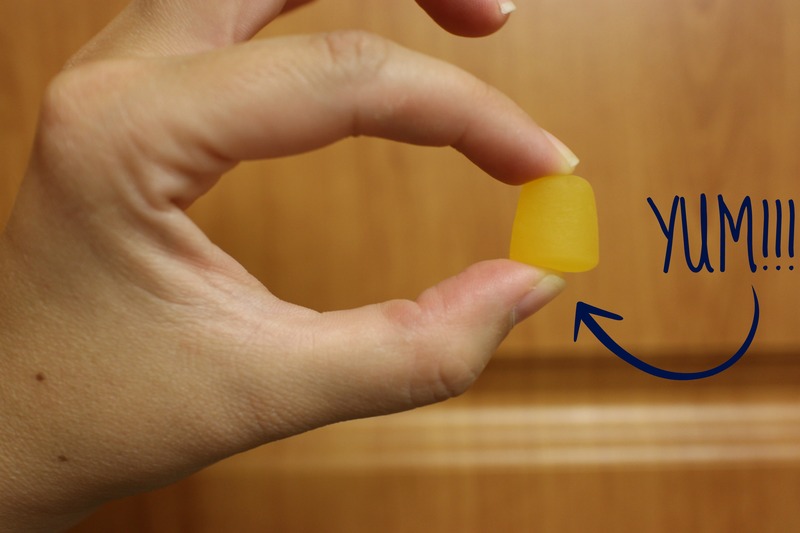 Check yo’self…before you scientifically wreck yo’self! A huge standing ovation to Sen. Claire McCaskill of Missouri. And just another reason I need a yard.